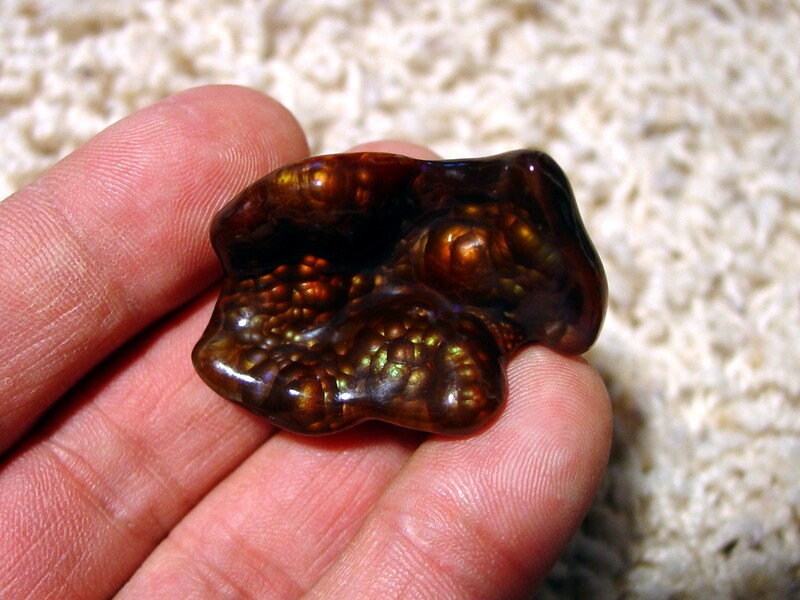 , a nicely carved freeform cabochon, measures 39x24x12mm and weighs an impressive 58.7 carats. 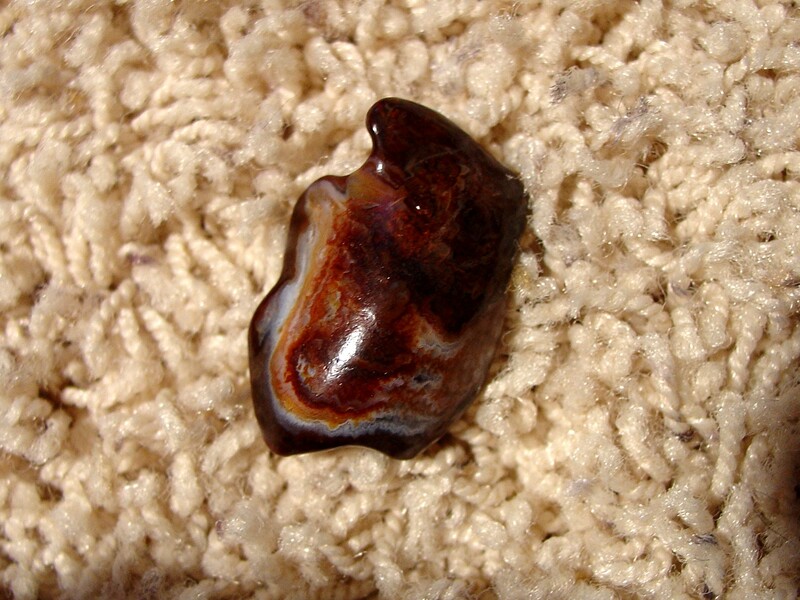 This nicely polished gemstone has a nice array of colors, is concave shaped, and would make a great addition to any gemstone collection or could possibly be used for jewelry purposes by a creative jeweler. 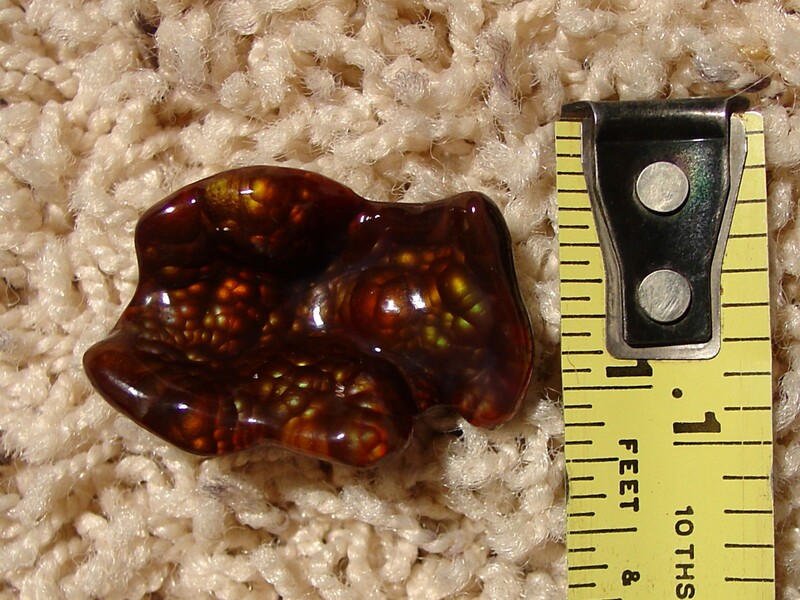 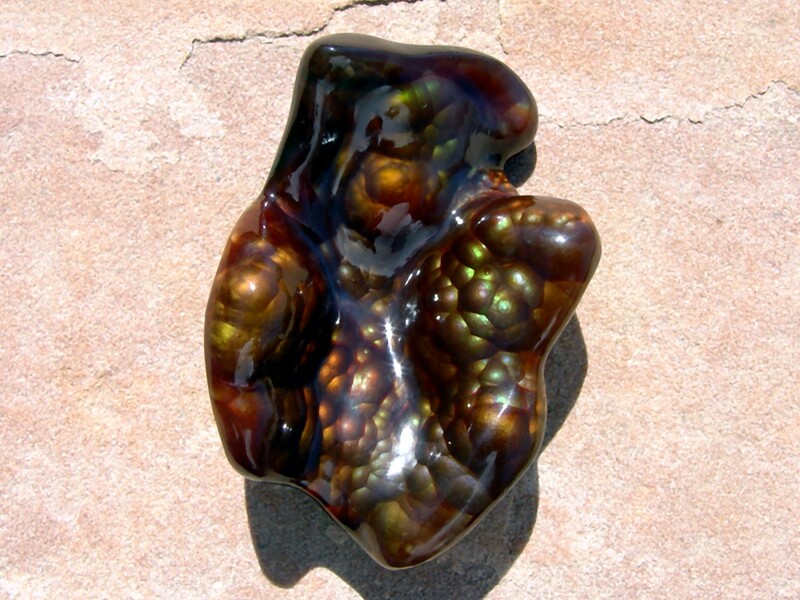 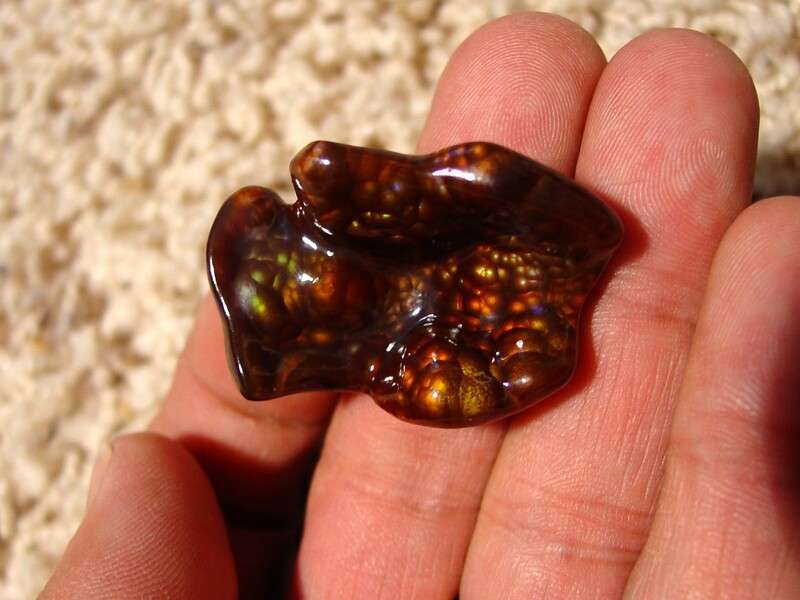 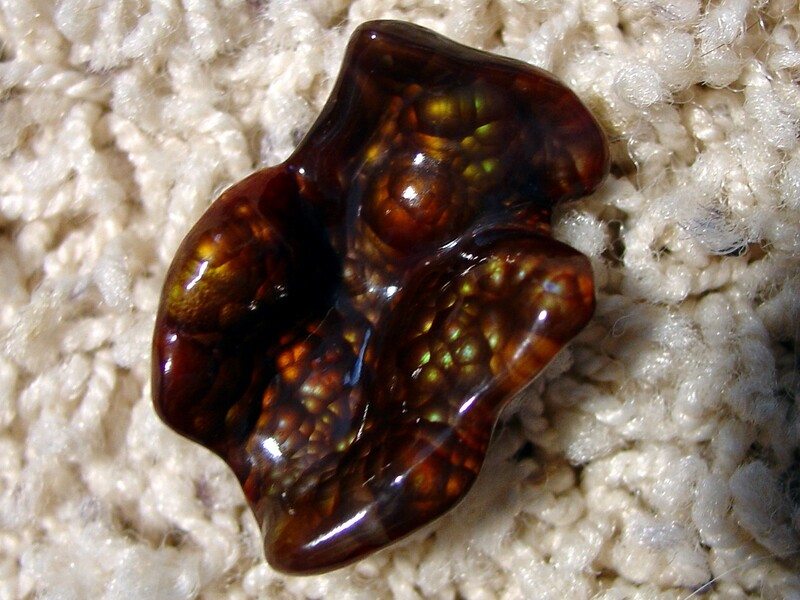 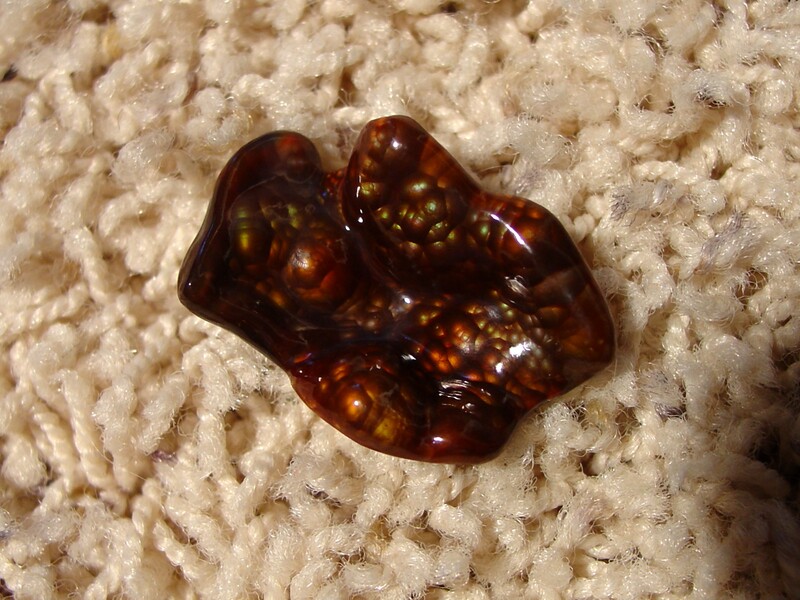 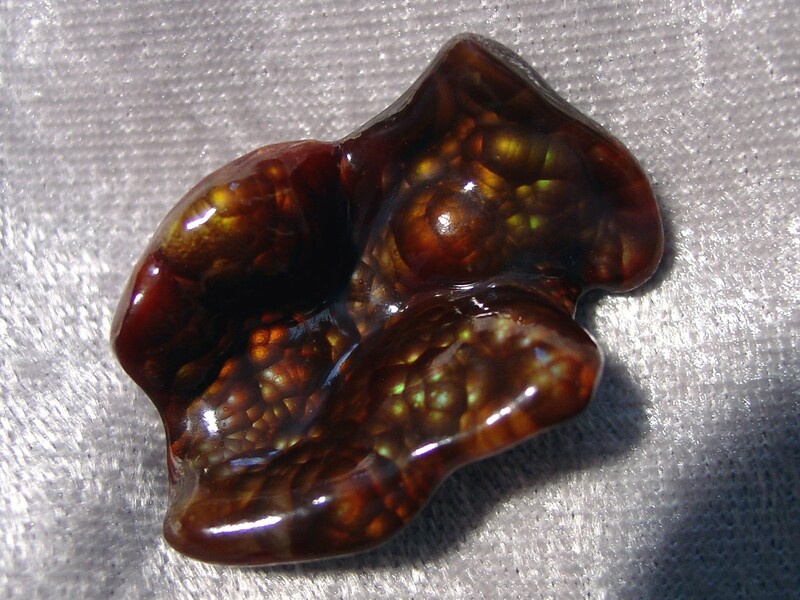 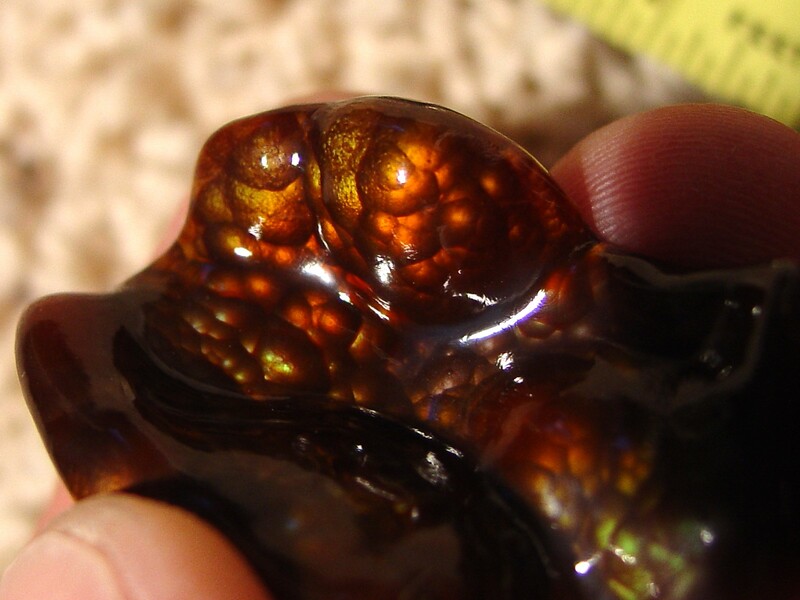 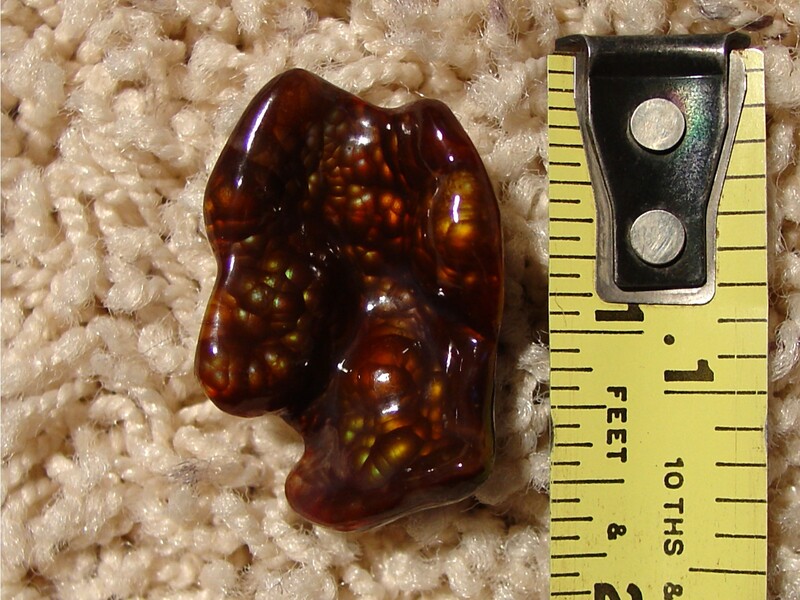 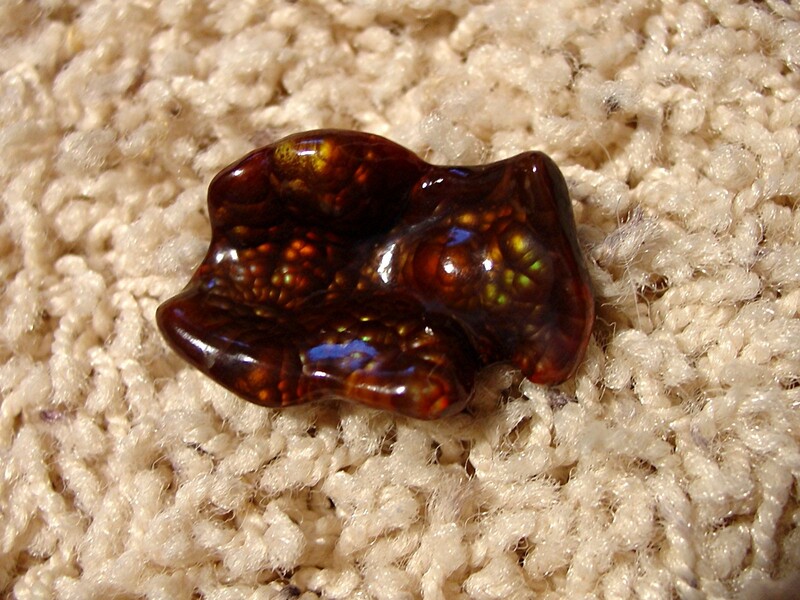 This gem originates from Slaughter Mountain, Arizona, known for some of the best fire agate gemstones in the world. 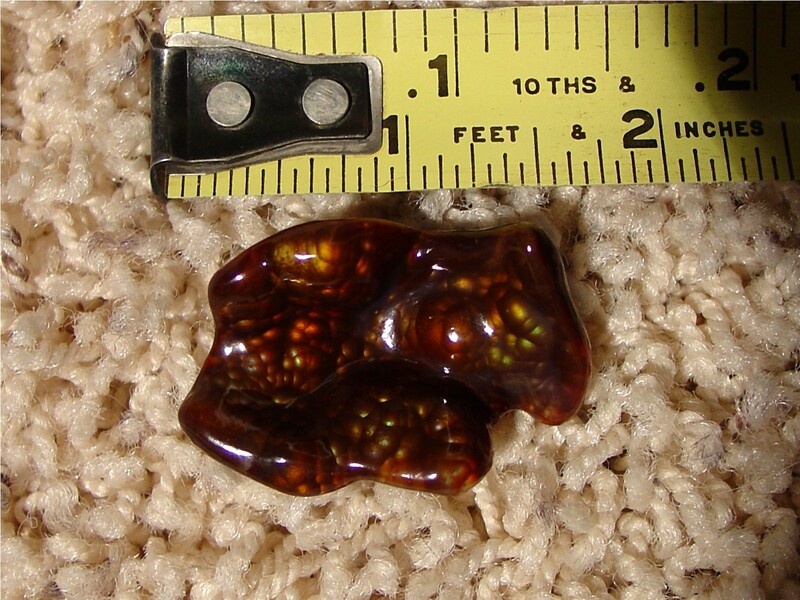 Photographs were taken indoors under lights and outdoors in sunlight.